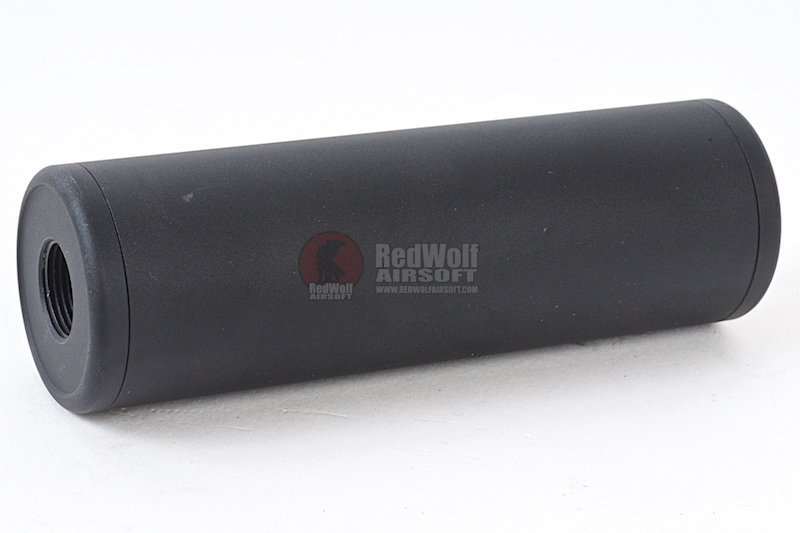 Silencers are used to keep your firearm quiet but in airsoft thats not the case, mainly used for aesthetics. 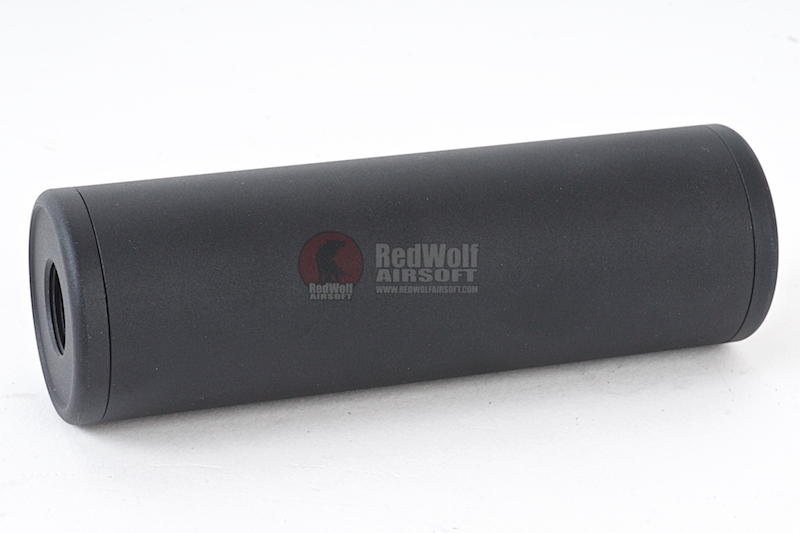 A large and imposing but otherwise lightweight design, these stealth-bomber-black silencers are a great addition for that melodramatically spec ops look that you might be looking for and for this price its a pretty good deal for such a robust metal piece. 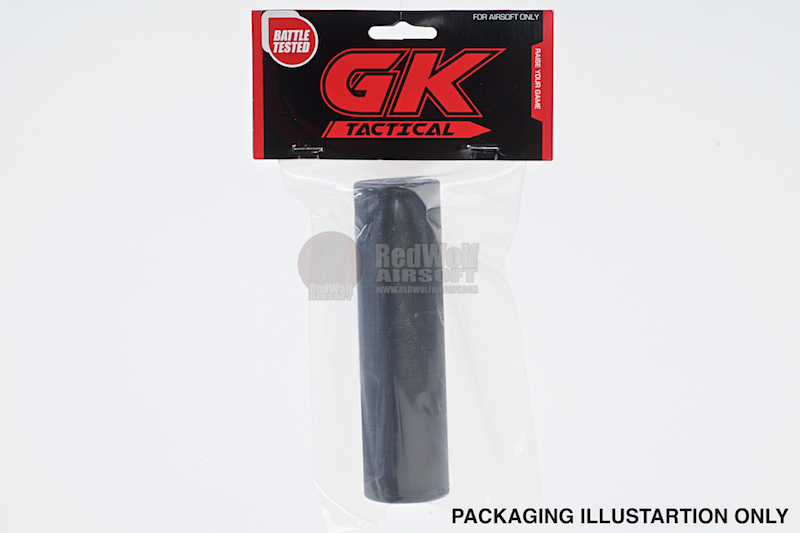 GK Tactical is a brand that often bring us high quality products with a reasonable price tag. 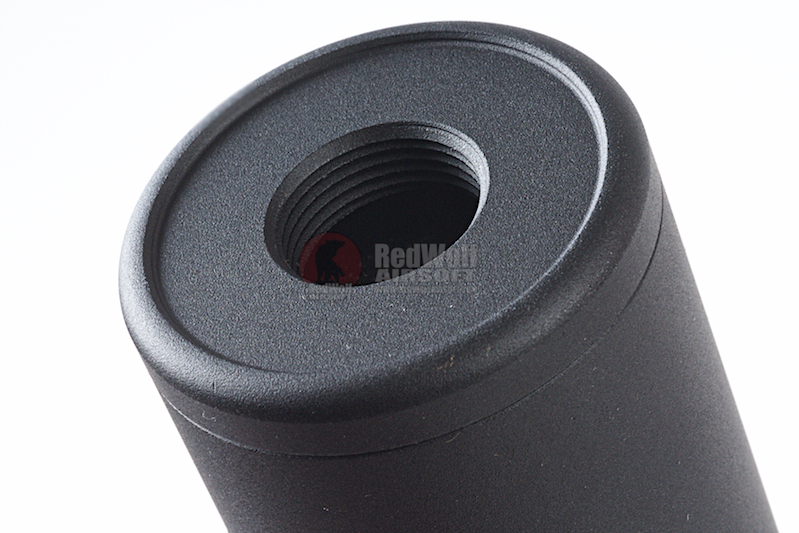 Comes with a 14mm Negative / Clockwise cap installed although it comes bundled with a Positive / Counterclockwise threaded cap as well (simple screw-on attachment) to fit either positive or negative 14mm threading standard on the majority of Airsoft weapons.